Jun 26, 2015 We have reviewed your complaint with our media department and we find that our commercials do not advise you to take one gelcap per day. We advise all new customers to begin by taking 4 capsules per day and our bottle label recommends 2 to 6 capsules per day. 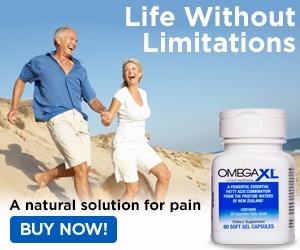 Omega XL has hundreds of thousands of satisfied customers who continue to order our product every month. We would like to review and address your concerns in detail, but you have chosen to remain anonymous, so that isn’t possible. We recommend that you contact the service professionals in our Customer Advocacy Group at 1-800-607-0419 or email them at cagsupport@greathealthworks.com. After seeing the ad with Larry King, decided to order. The ad confirmed one small tab once daily. On receiving the first shipment the first piece of paper with a RED Stop sign stated that in order to maximum relief at least 4 tabs for the first 30 days. Within days I noticed a second charge on my account and a box arrived in the next 2 days. I called customer service and you immediately get put on a hold with an average wait time of 90 plus minutes. I finally got through and insisted to speak to a supervisor as I considered the ad to be "False Advertising". It took a while to convince the customer service rep of the seriousness of the company's claim and its repercussions. I informed the rep that I will be contacting the FDA for "False Advertising" and it did not take too long after that to get a "FULL and COMPLETE REFUND". In the meantime I developed small joint pain in the hands, and the once I stopped taking the tablets is when I was pain free. I still intend to file an adverse event with FDA. Its usually the company who should handle such a complaint but I am not going to wait around for hours to file my complaint. Review #636242 is a subjective opinion of User636242.